Garage Construction in Benton, ME | Stevens Siding & Window Co.
Are you looking to construct a garage, or are you looking to add on to your existing one? Look no further than Stevens Siding & Window Co.! Having been in business since 1995, and with over 30 years of experience in the industry, Stevens Siding & Window Co. is your number one source for garage construction in Central Maine. We can construct a garage that perfectly meets your needs. Whether you need a garage with room for storage, or you just need to fit your vehicle inside, we can build that for you. Call us today for a no-obligation, free estimate, or stop by our showroom in Benton: (207) 453-8346. Your dream garage is just a conversation away. Call on Stevens Siding & Window Co. for your garage construction needs. 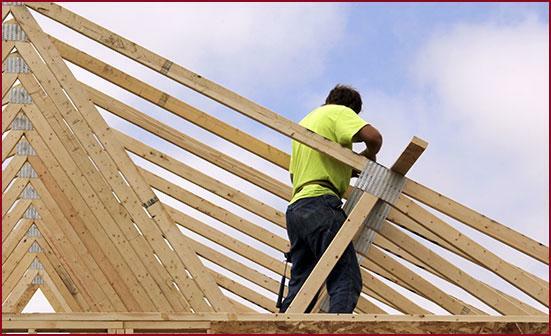 From additions to new constructions, we do it all! Simply give us a call or stop by our showroom to discuss what your garage needs are, and we will provide you with a no-obligation, free estimate. With many years of experience under our belts, we will construct your garage quickly and efficiently while still providing you with a sturdy structure that is up to code and meets your needs.